Hundreds of thousands of San Francisco Bay area commuters got at least a temporary reprieve from a massive transit strike when Gov. Jerry Brown ordered an inquiry into a labor contract dispute. 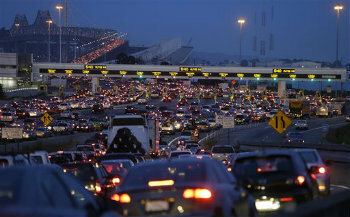 SAN FRANCISCO (AP) — Hundreds of thousands of San Francisco Bay area commuters got at least a temporary reprieve from a massive transit strike when Gov. Jerry Brown ordered an inquiry into a labor contract dispute.